European Commission finds Google treated device manufacturers unfairly. 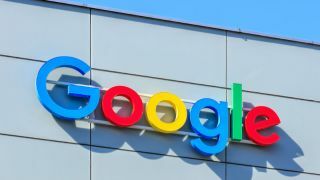 Google could be facing a fine of up to $11bn in the EU as a result of the European Commission's investigation into the market dominance of its Android mobile operating system. EU competition commissioner Margarethe Vestager will likely make an announcement in the coming weeks concerning the commission's findings over how the company forced device manufacturers to pre-install its own first party apps such as Chrome, Maps and the Play Store on their smartphones. Android is currently used on 80 per cent of the world's smartphones due to the fact that manufacturers do not have to pay a licensing fee and can ship their devices with Google's OS for free. The European Commission came to the conclusion that the company illegally forced smartphone makers to install its proprietary apps and also that it prevented them from using Android's open-source code to develop their own mobile OS. Google could face a fine of up to 10 per cent of its parent company Alphabet's global turnover. However, in most cases fines do not reach that high. Google has denied any wrongdoing in the case and the company argues that Apple's iOS should have been included as a serious rival to Android since it can only be installed on iPhones and not on other smartphones. Vestager is expected to make the announcement soon and then we will know exactly how much Google will have to pay the EU.